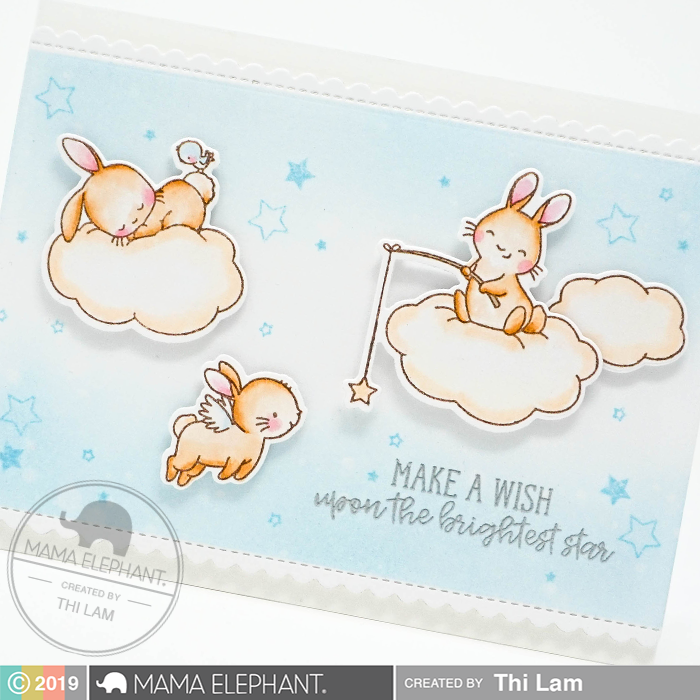 Welcome back to day 3 of Stamp Highlights with the new Wish Upon the Star by Aida Zamora! These bunnies are as sweet as can be! 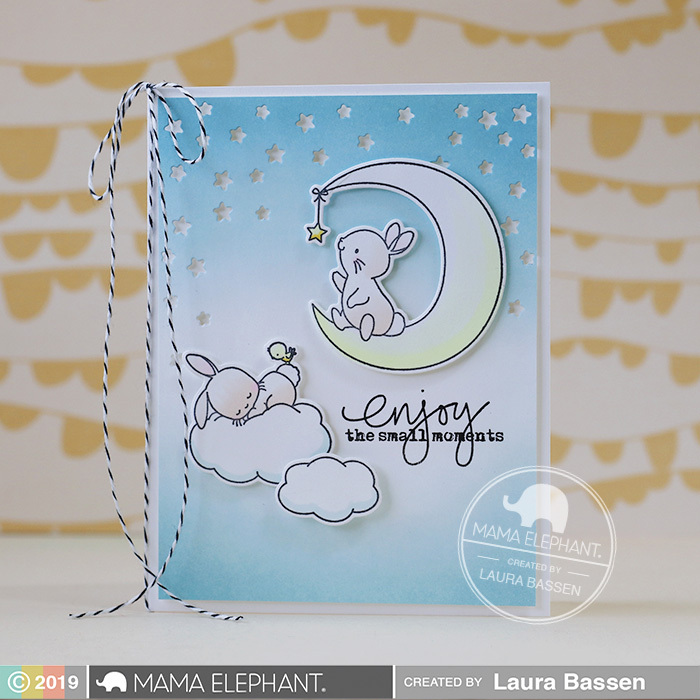 Vera used the Cloud Nine - Creative Cuts to create this sweet card. 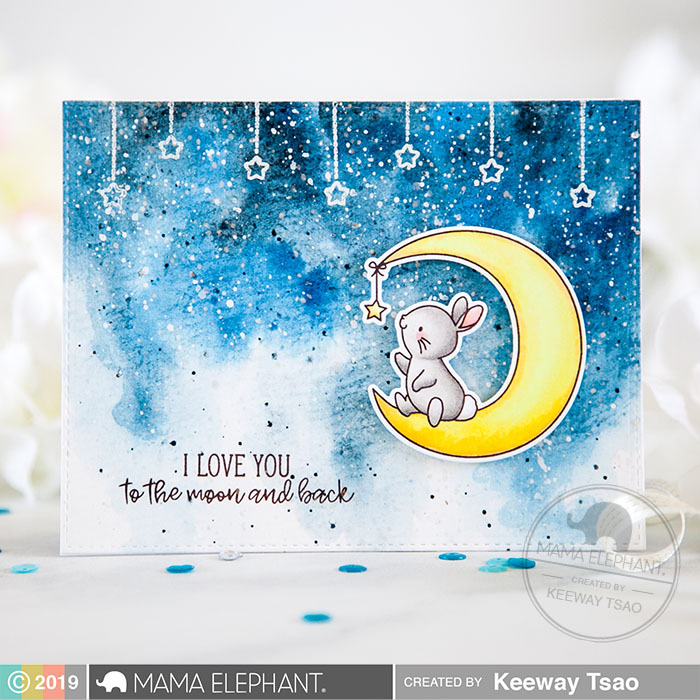 Keeway created a beautiful watercolor night sky for the sweet bunny from Wish Upon a Star. Laura used the Starburst Cover Creative Cuts along with a sentiment from Everyday Greetings for this sweet scene. Mette added some cute trimmings by using the fine trimmings creative cuts! Thi made use of all the tiny stars in Wish Upon a Star to create a dreamy background for these sweet bunnies. 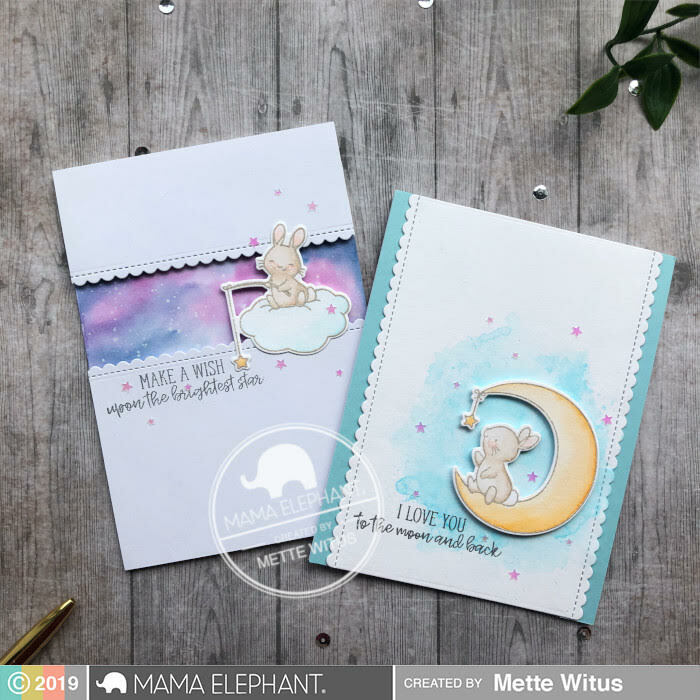 The scallop edge of the large die from Sweet Feline Creative Cuts creates the perfect backdrop for this sweet scene. 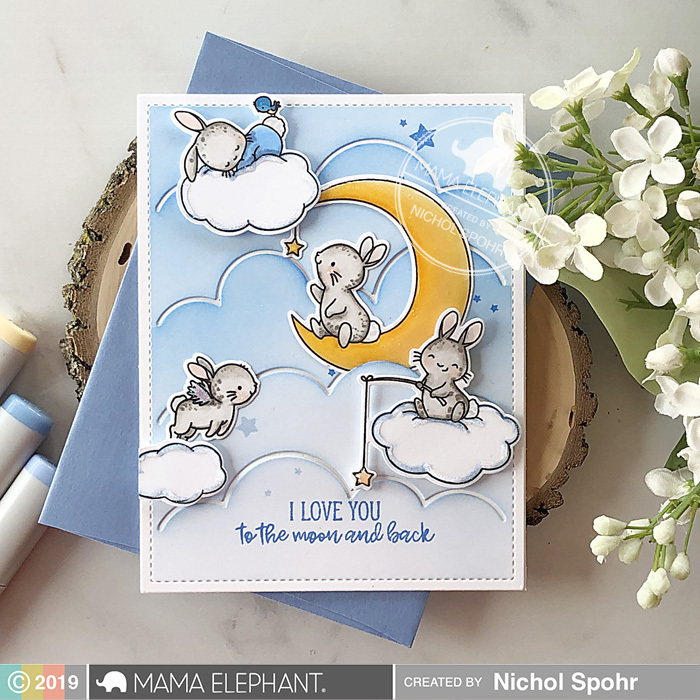 Nichol used the Cloudy Day Cover Creative Cuts to create a background for the super sweet Wish Upon a Star bunnies. 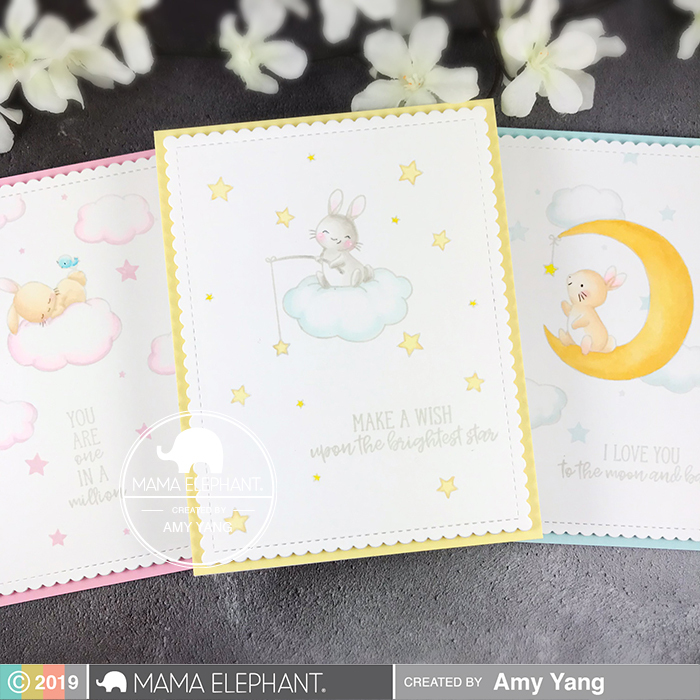 We love how Amy combined the Wish Upon A Star with the scallop frame from the All Prettied Up - Creative Cuts to make her trio of sweet cards. I love these sweet bunny stamps! Thank you for the inspiration. Such sweet cards and tags! The bunnies are just adorable! These are all so sweet! I love how different they all are, even though the images are the same—it really shows off the versatility of the set. So inspiring! Sweet and gorgeous, this is my favorite set this release! I love this set so much! Wow, all these cards are so cute! Wow fabulous inspirations for this set! Each one is awesome!! Just DARLING! I love how the DTs did the backgrounds with this set!!! Beautiful cards and tags. Love the soft colors. Adorable creations! This set is so sweet!